The Yorke Peninsula is about 2 hours drive from Adelaide, but from the start of the Peninsula (just past Port Wakefield), there are a lot of places well beyond the 2 hour point of your drive. It's a beautiful part of South Australia, and very popular in school holidays, where many people leave Adelaide for the numerous holidays shacks that are found in all the coastal towns. And of course, people head to the camping areas too, which means that you will not get solitude during peak times. We have visited YP frequently over the years, and realise we have a lot still to see from a camping perspective. 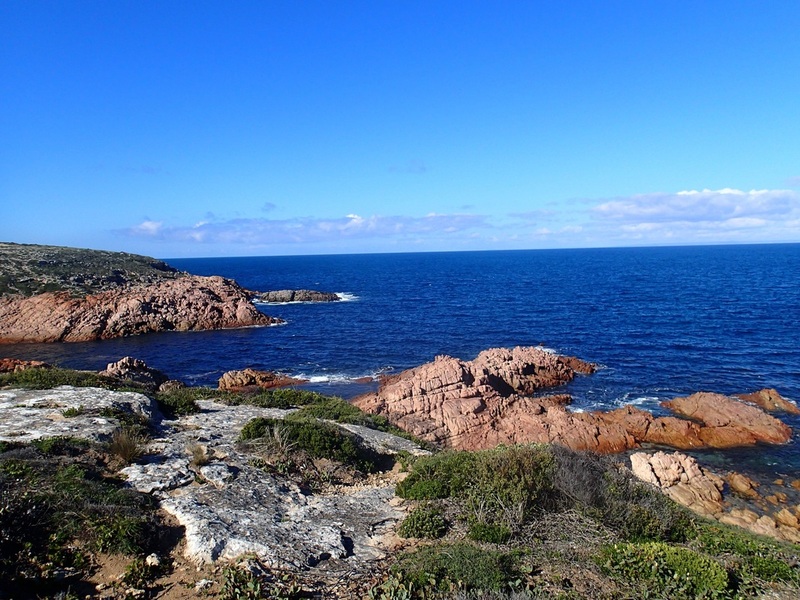 One of our first camping visits was to Innes National Park which is reviewed here. There are numerous places to go, and we will add more information as we visit each place so check back regularly for more information. Free camping was once possible at the following locations, but updated information provided as at April 2017 , now indicates that there are fees for all these campsites. Full information can be found via this link including the purchase of the necessary permits for all camping at the sites listed below. To read about more locations, also requiring permits on the Peninsula - click here for more sites. Note: Our website, Go Camping Australia, is not able to provide information on availability, permits or conditions for any of the campsites listed. Estimated time to get to the town of Balgowan from Adelaide is around 2.5 hours. To access the campsites from the town, allow another 15-30 minutes. The Gap is the biggest of the campsites in this area, and is located 15km north of Balgowan (along a dirt road - narrow but 2WD will not have any problems). Alternatively you can access this campground from Weetulta (dirt road access). This is a very popular campsite, and finding a spot on long weekends or holiday time can be tricky. It can probably accommodate around 20 campsites comfortably, though I have read it holds 50 campsites, which I think would make it very uncomfortable with that volume of people in the area. It has a drop toilet which makes it a little more popular than other campsites. Caravans and camper trailers will have no trouble finding a level spot, and when we visited the majority of campers were in larger vehicles such as caravans. You are not on the beach, but slightly protected by low sand dunes. Many campsites will have no view of the beach at all, but it is easily accessible, and it is a lovely long beach - suitable for swimming. There is no shade, nor water - so bring in everything you need. Privacy between campsites is pretty much non-existent. If you are looking for a peaceful time away from others, you may not find it if this campsite is busy. Other times of the year, away from peak periods, you might have the place pretty much to yourself. When we were there, a number of campers seemed to have dirt bikes or quad bikes, so you may not get the serenity you are looking for (if you are). The Bamboos are located 12km north of Balgowan (on the same road as Tiparrra Rocks camping and The Gap camping). 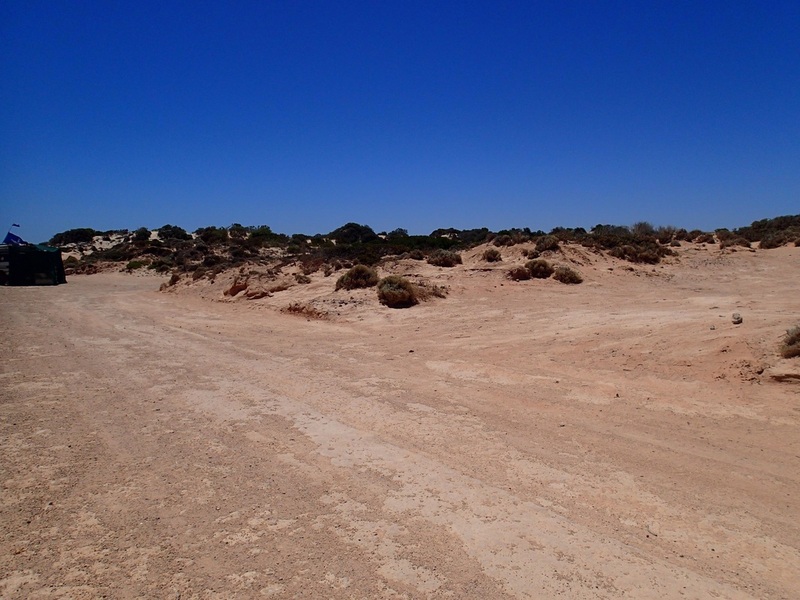 There are no facilities at all at this campsite, and the camp is situated behind high sand dunes, so would have more protection from the wind. No shade, but scrubby bushes providing some, not a lot, privacy between campsites. Couldn't tell how many campsites are in this area, because when we visited one group of campers had taken up different locations within the area to create separate areas for camping. eg. one campsite they used as a lounge, another as the sleeping area etc. There was no room for us, so we had to move on. The website - Yorke Peninsula information site - mention that The Bamboos are not suitable for caravans, but there were a number of them in there when we visited. I suppose it will depend on your skill in maneuvering in some tighter spaces within the campsite, and how desperate you are for a campsite. BYO water, toilets, firewood. Dogs allowed on a lead. Like the Gap, you can't see the beach easily from the campsite, but you just walk over the dunes and the beach is there. Tiparra Rocks is the first campsite you come to from Balgowan - 8km north and on the road that leads you to the 2 above campsites. There are no designated campsites, so you need to just find a spot that works best for you and your style of camping. 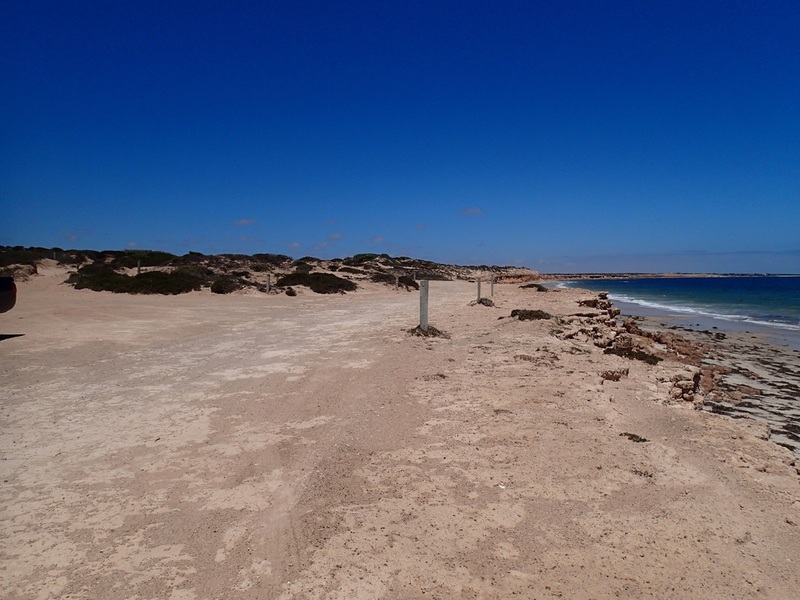 This campsite is directly facing the beach - with no large sand dunes to block views. And there is a lovely beach very close to campsites. So you can look out at the ocean with uninterrupted views. A definite highlight! There is no shade and no protection from the winds off the water. There are no facilities here either. It's BYO water, firewood and toilets. Like The Bamboos, I recommend carrying a chemical toilet to this campsite. Once again the information website said not suited to caravans but there were 2 small caravans when we were there, so it is possible. 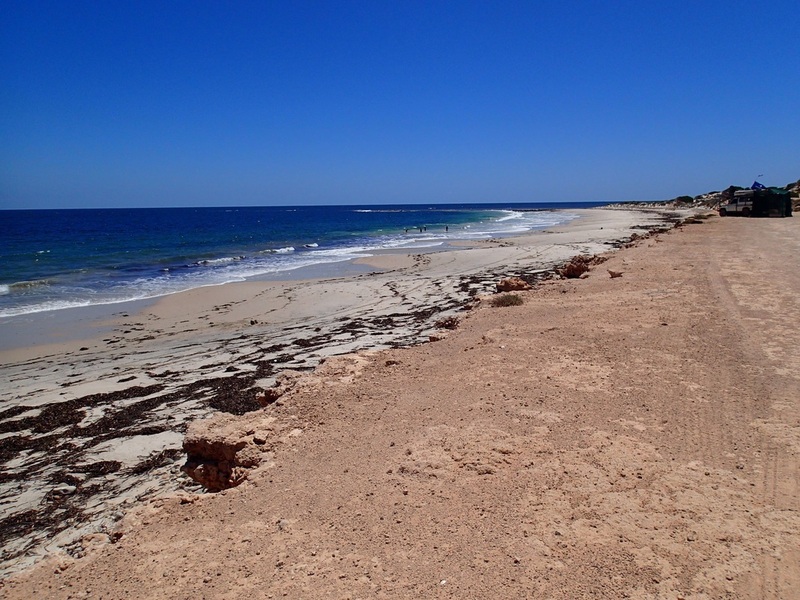 Wauraltee Beach is 17km south of Port Victoria on Wauraltee Beach Road. We probably went the long way to this campsite initially, so if you are looking for exact coordinates on where to find, see this ExploreOz link for confirmation. It's a very popular free camping site, and like the others mentioned above, you might find in warmer weather and holiday period, that finding a spot is difficult. All the good ones get taken early! There are no facilities here, so it's BYO water, firewood and chemical toilets. No shade and not much screening between sites. There are sites that overlook the beach (probably the prime ones) and then the ones between/behind the dunes. The ones overlooking the beach will have no protection from any wind off the ocean, whereas the ones behind the dunes are a lot more protected, and its a short walk to the beach. You can access the beach with a 4WD and some people had camped along the beach itself. Where you camp is going to depend on the sort of vehicle you have. As there are 4WD trails in the area, this is a popular spot for that activity plus for trail motorbikes to use. So if children are walking on the dunes, care will need to be taken with these vehicles nearby.